TORTURE TEST OF THE BOREALIS 1050 LUMENS TORCH, VIDEO. I am the official tracker for our little group of seven bow hunters. 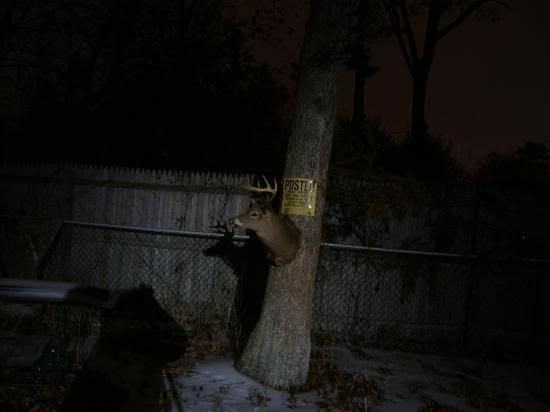 Because of the small patch of private woods that we have for hunting, and to preserve the unpolluted area, all tracking is done only after dark when the hunt is over. Our rules are that no more than two persons will retrieve the deer; this is to keep the woods as free of human odor as possible, not to spoil our chances for the next morning hunt. I have had a lot of experience with blood tracking lights, since my father first taught me how to do it with the old gas Coleman lantern. One thing that the old timers had right was the need for intense WHITE light. As time change, there was not need anymore to go back to the truck for the old lantern; the new crop of intense white light pioneered by the tactical lights used for SWAT and Special Forces can do the job of making that blood trail as clear as during the day. At this point, a word about the blue lights now in use for this task, and is that in many situations they are completely useless, as I learned when I tested one of them by following a wounded bear in the Maine woods in late August. 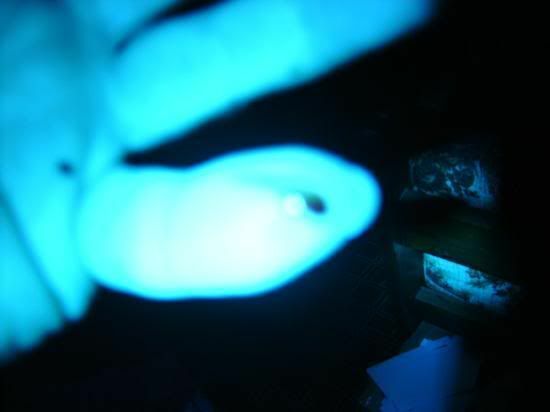 The black drop of blood blended so well with the dark green vegetation of the Maine woods, that it was impossible to track it using that light. I am a flashaholic, a disease that is kept in check only by buying and using lights, as I own more than two hundred of them; I am well aware what is good and for what purpose. 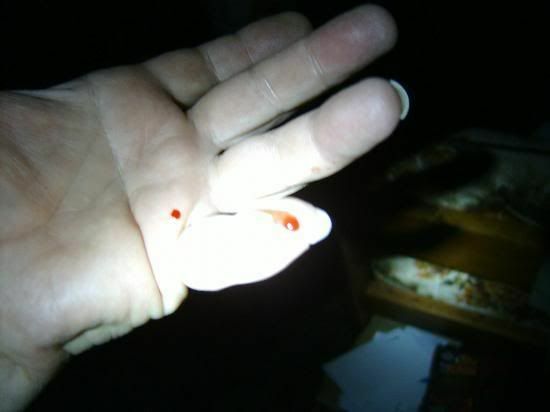 That is why I am telling my readers that for blood tracking you need a very intense white light of not less than 200 lumens. That figure rules out LED lights, not only they don’t make the grade in lumens output, they are poor penetrators in fog and are poor distance throwers. Enter high output incandescent lights with good throw. 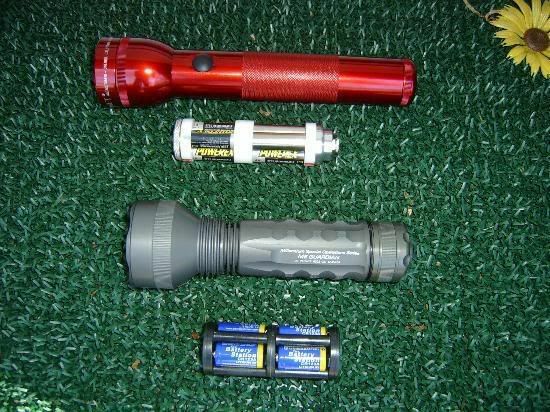 Not many of them out there, Surefire for sure was the pioneer with the M-4 and the M-6 lights; the M-6 with the 350 lumens lamp can run for 60 minutes, but it uses six of the expensive 123’s batteries, costing $12 per hour run. 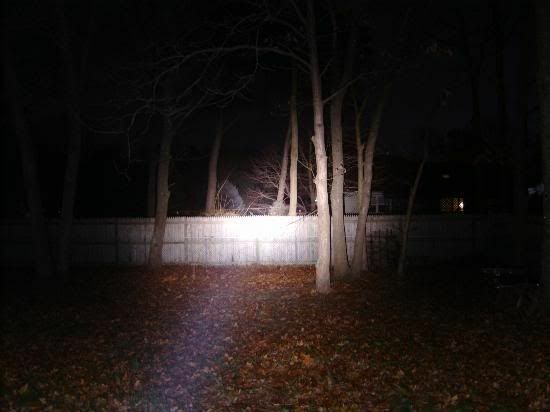 The M-4 with the 225 lumens lamp is what I have used for years with satisfaction, except for the cost of $8 per hour, as some tracking jobs sometimes took more than 60 minutes. The M-4 is 9 inches long and quite light in weight, it have a stippled reflector that diffuses the light into a flood, which in my opinion is more flood than it is needed, I would like to see this light marketed with a smooth reflector for more useable throw, as sometimes the wounded deer circle back toward the open fields, and to spot one lying dead in the middle of the field more throw is needed. For more about the Surefire M-4 ($330) contact Surefire. 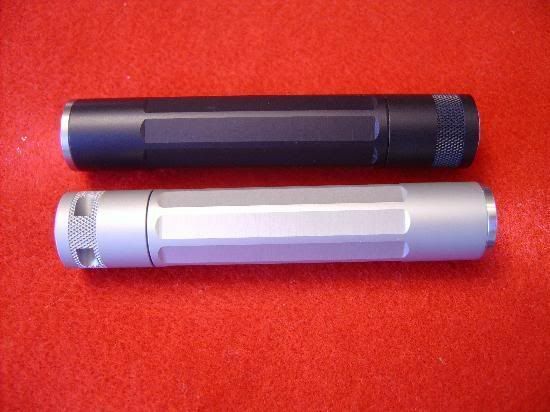 using the “host” of a maglite 2 C, which means than after years of hard use when the light is scratched or dented, you can renew it just by buying a new “host” for about $14.00. 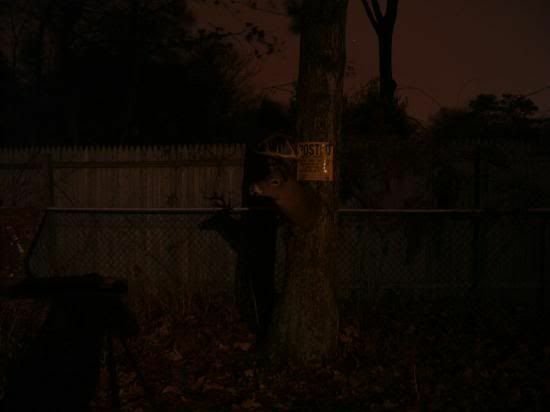 The light is also 9 inches long, it has a smooth reflector that concentrates the beam and shoots it a long way, no problem with this light in spotting a dead deer in the middle of the field. The light is sold with a Li Ion charger that will charge the batteries in 3 ½ hours, so it is no problem to have it ready for the next morning, fully charged. These batteries last for 1,000 recharges so you have 1500 hours of use before needing another set of batteries. Before the M-4 can run for 1500 hours it will have spend $12,000 in batteries! Extra lightweight Lithium Ion rechargeable batteries cost $30 per pair, so carrying an extra pair in a pocket will give you another 90 minutes of white intense tracking light. When these lights are not used for tracking they make a formidable tactical light for home defense, with the capability of momentarily blinding an opponent. 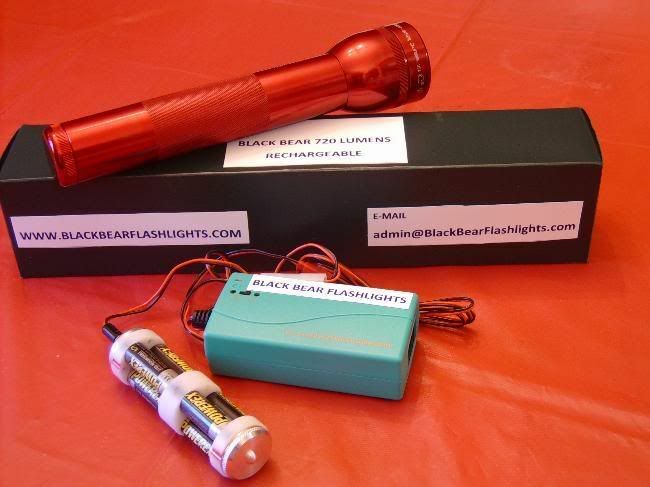 The Bear Cub is available from the maker for $130 shipped, for more about this light contact Black Bear Flashlights. Both of these lights will beat handily a 250,000 lumens spotlight; they are very convenient to carry in a pack or fanny-pack or even a large pocket. I use a red light to enter the woods without polluting them with light; I make a habit of always carrying my Bear Cub in my pack, ready for the most important chore of the hunting season, the retrieval of a wounded deer. 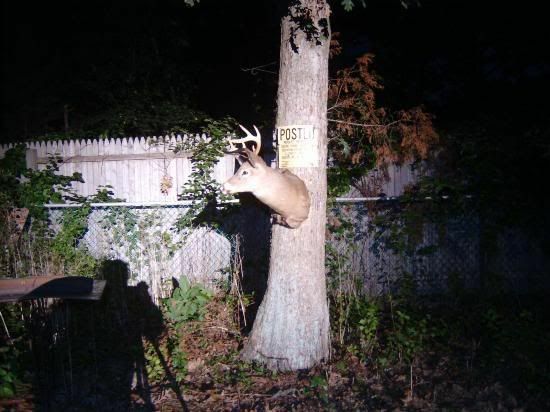 I think that is our obligation to the game to make our best efforts to retrieve the deer we shoot, the use of the proper tool for tracking blood is imperative to aid in such efforts. Three years ago the Borealis flashlight was conceived to be the most powerful military/police flashlight in the world. At 1050 lumens the beam of light is very similar to a two million candlepower spotlight, all that power cased in a 12 ½ inches long, 28 oz. light, that will run for 50 minutes before needing a recharge. Then the light uses a fast RC charger that does the job of recharging the high current batteries in 90 minutes. 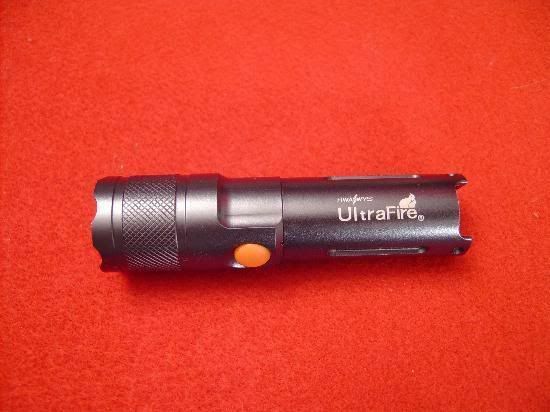 Three years ago everybody was in awe of the Surefire M-6, a military/police light that makes 500 lumens for 20 minutes run time on six disposable 123’s batteries, at a cost of almost $12 per twenty minutes run. When the agency pays for the batteries, all is well, but for the civilians that wanted to have those mega lumens of light, there was no option. Black Bear Flashlights wanted to produce a rechargeable light that surpassed the M-6 and still be affordable for those with mortgages and families, and the result was the Borealis 1050 lumens flashlight. The light was conceived to make use of a well known flashlight shell that is available anywhere, that way after years of hard use, the shell can be replaced for less than $20 USD and in ten minutes of the owner’s time. The super-bulb that is almost 3 ½ amps needs some very powerful batteries; those nine AA batteries of high current are housed inside a Rolls Royce battery carrier that has also a charging port on the negative side. Plugging the RC fast charger in this port for 90 minutes, will recharge the powerful AA Nimh batteries. The Borealis also has some especial components to cope with the increased heat from the bulb. 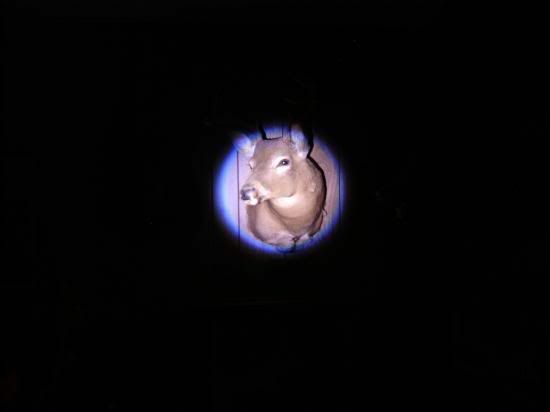 A ceramic switch/bulb holder, a solid aluminum reflector and a Pyrex lens, take care of the high temperature issue. The BOREALIS is the highest intensity incandescent flashlight available in the market. 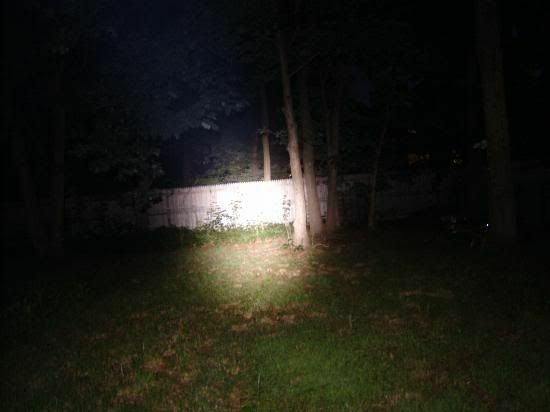 Some HID’s lights throw more lumens, but those are considered searchlights and not flashlights; as a HID can take as much as 30 seconds to start up, they are NOT instantaneous as the incandescent flashlights are. 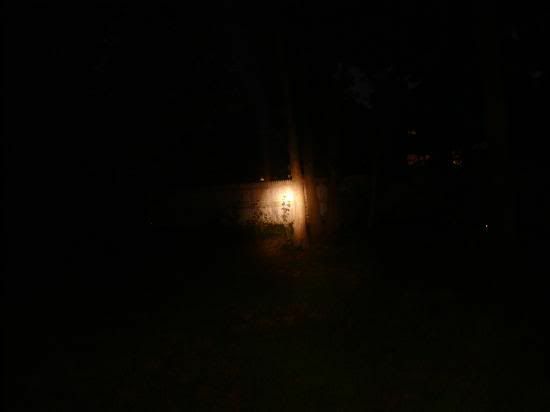 HERE ARE SOME COMPARISON BEAM SHOTS AT 35 YARDS WITH THE MOST POWERFUL MILITARY/POLICE FLASHLIGHTS. 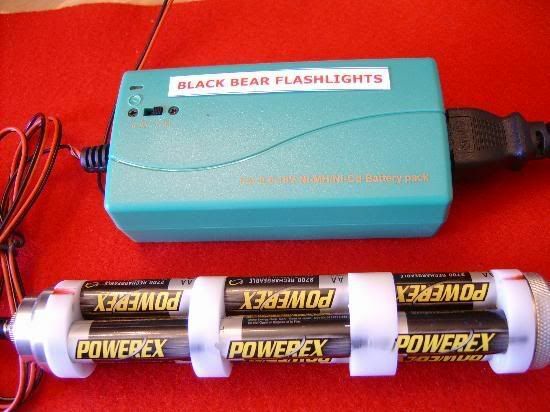 Black Bear Flashlights spends several hours on each light working on fixing all the internal resistance issues and pro-gold all contacts and components for an increased conductivity. This results in their trademark of intense WHITE light as more voltage reaches the super-bulb. This bulb is not a flashlight bulb, but one made for powerful medical instruments. THE BOREALIS ROYAL MODEL, WITH THE NEW LOW PROFILE STAINLESS STEEL CRENELLATED BEZEL AND QUICK DETACH SWIVEL. Police officers have adopted the Borealis for its tremendous throw and flood capabilities; hunters have abandoned their spotlights for the easy carrying of the Borealis, and civilians looking for a powerful light for the car or for home defense are flocking to the Borealis flashlight. I bought this light from Deal Extreme for $23.24 shipped. I was very curious to try one of the Rebel 200 lumen new Luxeons and I think this is the best way to try one inexpensively. The light has a click on, click off switch and five modes of intensities. 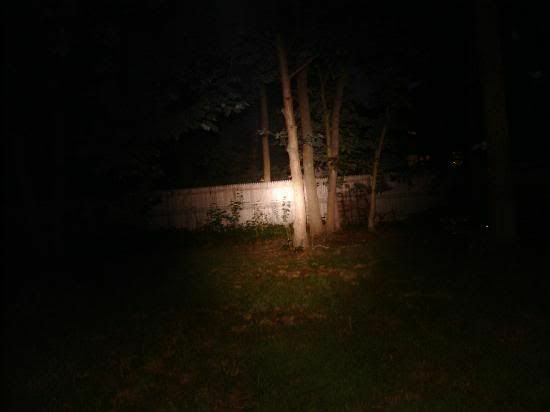 The low mode is 30 lumens and is said to last for 24 hours. Another is 100 lumens for six hours, and the 200 lumens mode is three hours; then you have a strobe mode and an SOS mode. I used a new Battery Station 123 and in the high 200 mode it lasted for ½ an hour, and it gets hot very quick. I don’t know if the poor run time is the fault of the battery that was under-charged, or if the light will perform the same with others 123’s, but that is the results I got. Due to the small head, the flood effect is quite pronounced and the throw is poor for a 200 lumen light, but I was expecting it to be that way based on experience with other small headed keychain-type lights. Two hundred lumens in a two inch head of an incandescent will put a level of illumination that is tremendous in comparison to the small head of the Rebel 200 lumens. So we are in a time when we can no longer make an assessment based on the lumens figure, that is when the comparison pictures that I have been taken show the value, as the viewer can see for himself how the different lights with the same value in lumens output perform in real life. If I consider the low price I like the little light in general, excepting the side switch that can be a little hard to find in a rush, as it is kind of recessed in the head of the light and difficult to find by feel alone. I will have preferred a tail switch such as I have in my Fenix L1D, but it is a tremendous price difference between the two lights, so all things considered I think that the Ultra fire is a great value, and I can put up with the side switch. After trying to like the clip for a couple of weeks, I ended throwing it away, it is too flimsy and I will not trust it to keep the light in my pocket. The light is regular anodized, but had stood well the use in my pocket with keys and coins. 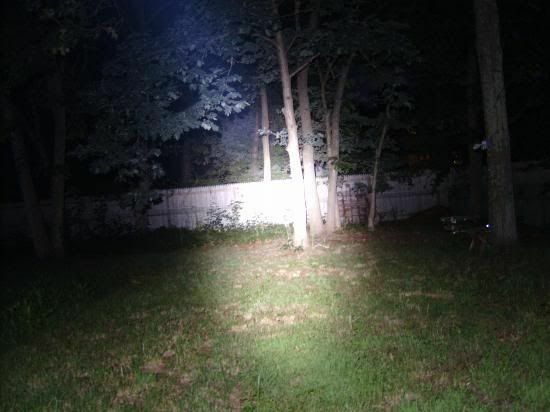 And here is a beam shot with the 220 lumens Bear Cub rechargeable that sport a two inch head and have a range of 150 yards. It is easy for me to do an objective review of this light. I have been using a couple of them for two years, quite often (not exclusively because I own other lights also for everyday use). The light has performed extremely well for me. The Twin Task uses for power two lithium 3 volts, 123 batteries, and it have two light sources, one xenon bulb of 72 lumens and three Nichia 5mm LED’s of about 7 lumens each. The LED mode will last for 28 hours (I have to take the word of the manufacturer for this, because I haven’t done a run time that long). And the Xenon bulb’s run time will last for 2 ½ hours. The light is quite comfortable in the hand and similar to others 123’s lights, measuring 1.34” wide and 5.43“ long, and weighing at 3.37 oz. Due to the micro-faceted reflector, the flood with the three LED’s or the Xenon bulb is ample. 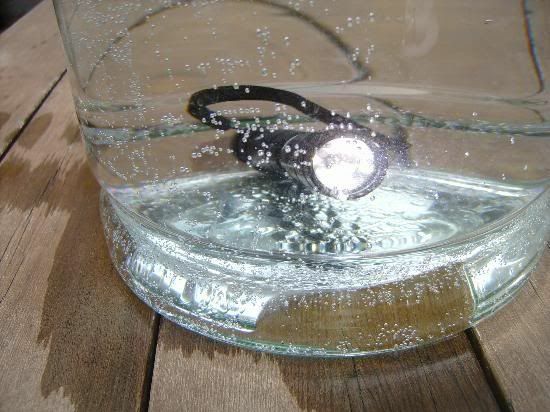 If you don’t have to illuminate things at a distance the light is useful for chores inside the house or in the campsite or trail. I have used it mostly with the three LED’s and I have come to believe the run time of 28 hours claimed by the manufacturer because after two years of sporadic use the light is still going in the same battery set. The switch is on top of the head, as this is not a “tactical” light I found the switch convenient, so does my wife, that have the same model but in Titanium finish. The focus is adjustable, but even in the tight setting the light have a lot of flood. 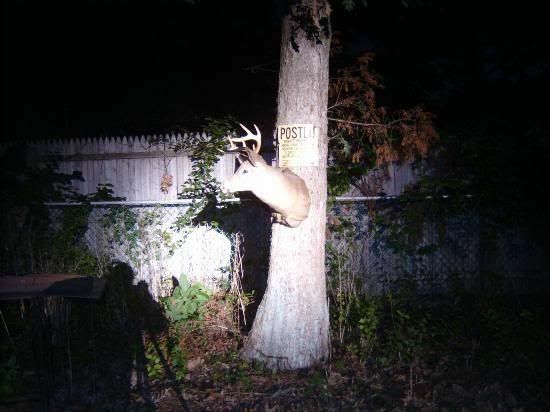 I have lend my second light to my hunting pal Frank, that left it on the three stand for a week, on returning the light it was just the same in finish having weathered the week without any mark or discoloration. So, I didn’t have any problem dunking it for a couple of hours in a big glass of water to see if it really was waterproof, and yes, it was, so far at this depth. The beam shot at 26 yards using the xenon bulb doesn’t look impressive at all, and that is because the reflector is designed for extreme flood, but that is okay, this light is mostly for using indoors, walking the dog or for hiking a trail at the most. In this picture one of my Twin Task have a Velcro tape, this match with the Velcro in my baseball cap, and allow me to have my hands free for doing any chores while directing the illumination where I am looking. The street price is about $32 USD and I think that it is quite reasonable for the quality of the product, based on my experience with it I can recommend it highly. 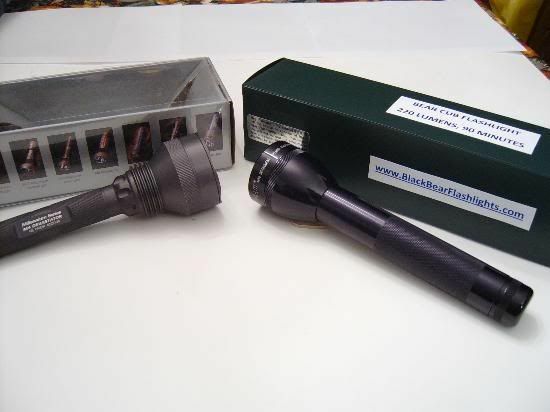 The Black Bear 720 lumens flashlight is 10 inch long and weights 23 oz. It has all the same high quality state of the art components as its bigger sister the Borealis 1050 lumens. 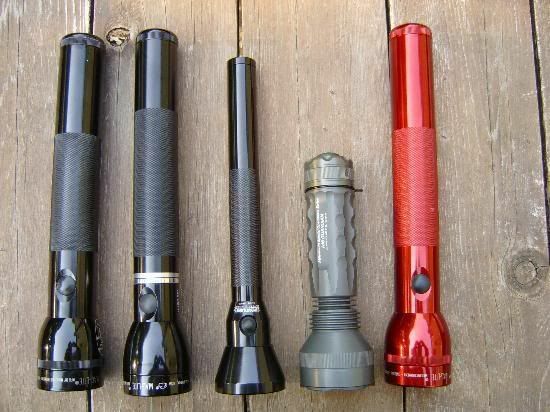 The Black Bear is made on the “host” of the Maglite 2 D., which is one of the advantages of the Black Bear System, as when after hard use, if the light is scratched or dented, a new host can be replaced inexpensively available almost anywhere, and the transfer of parts takes only ten minutes of the owner’s time. The only difference between the Borealis and the Black Bear 720 (beside the shorter length) is in the shorter Rolls Royce battery carrier (for six batteries) and the reduced voltage super-bulbs. The light has a 40 minutes run time and outputs an incredible 720 lumens, all this with rechargeable Nimh in the Rolls Royce battery carrier. This unit plugs into the charger for a 4 ½ hours charge. It is almost impossible to talk about the Black Bear 720 without mention its closest competition, the Surefire M-6. The Surefire M-6 is well known in the tactical circles as the light used by SWAT teams and Special Forces, This light that cost close to $400, is 500 lumens for a run time of 20 minutes, running on six disposable 123 batteries, yes that is right! it uses six batteries, a value of $12 for a 20 minutes run time. Clearly, the Black Bear 720 lumens is a better value as the batteries are rechargeable, with a life of 1.000 recharges and the run time is of 40 minutes. When the BB 720 needs new batteries after 666 hours of running, a new set costs only $30. While the M-6 has only one choice in reflector finish, the light stippled, the BB720 has a choice of four reflector finish, to customize the light to your work. Wildlife officers doing deer census in the field will want the long throw capabilities of the Smooth (mirror finish) reflector, same as firefighters that need to punch a hole in the smoke. 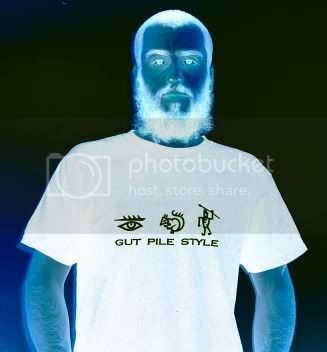 Others can use the Orange Peel for a little more flood, and the law enforcement officers will like the capabilities of illuminating an entire warehouse with the extra flood provided by the Light Stippled and Medium Stippled reflectors. None of the other incandescent flashlights used for military/police work will get near the lumens output of the BB720, the Magcharger is 200 lumens and the most powerful of the Streamlights, the Ultra Stinger, is 295 lumens. The shorter size of the Black Bear 720 makes it a natural to store in the car, inside the glove compartment, and it is not too heavy to be carried in a trench coat or overcoat pocket and the power in lumens compares to a car’s headlights or to a one and a half million candlepower spotlight, really an amazing performance for a light of this size. 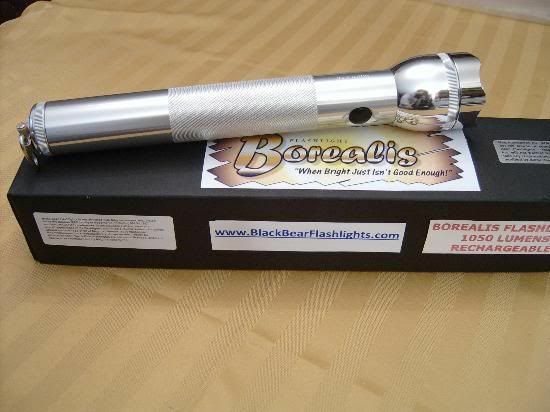 Like its bigger sister the Borealis 1050 lumens, (12 ½ inches 28 oz. 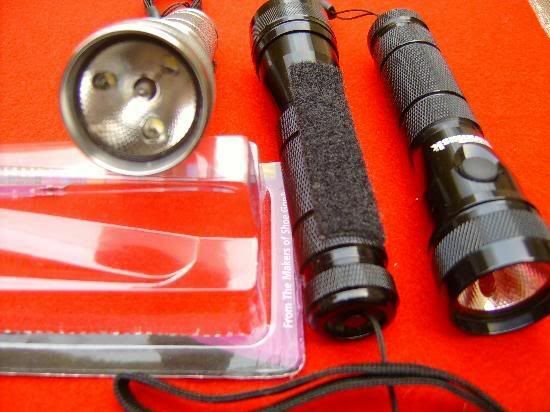 ), the BB720 is hand made one by one on a semi-custom basis, using state of the art components and lots of hand labor to reduce internal resistance to make the white light that is the trademark of the Black Bear Flashlights. Unlike her big sister the Inova X5T light, the little X1 uses only one LED that is rated at 2 watts. My sample purchased about two years ago has the loupe up front acting as a lens for the light. The location of it at a certain distance in front of the emitter creates a perfectly round and uniform in brightness beam of light. It is well focused and can be described at the Batman spotlight sign without the bat. The light is run by one AA battery and will last for two hours. More than three years ago I started using Nimhs AA rechargeable for my cameras, flashlights, GPS’s, two ways radios, rangefinders, etc. and I am very pleased with them, as they offer (almost) free electricity and permit me to use the lights without guilt and without contamination of the landfills with the alkaline batteries. The X1 is four inches long, 7.20 in diameter and weights 2.16 oz. and it has the same kind of tactical switch that his big sister the X5, with the same quality of components and high quality workmanship. 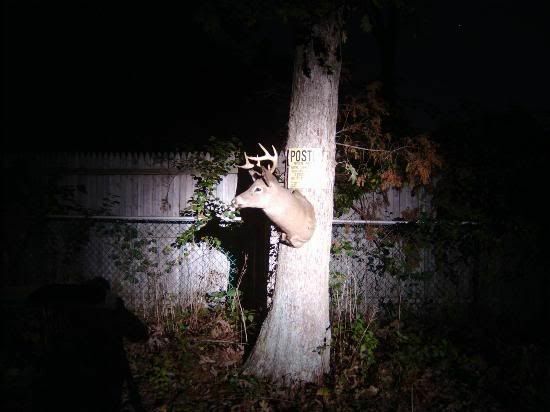 At first I was a little ambivalent in using this light for wood navigation, but in hunting I want to pollute the woods with the least amount of light possible, this very tight focus beam is ideal to spot the cat-eyes that I usually follow to my tree stand without disturbing the area with flood light, and it have served me well doing exactly this chore for me. This is a great quality light that it can serve very well in a lady’s purse, I have given out several as Christmas gift to lady friends as the street price is only 18 USD and the quality of the light is superb. In today’s market it is a little obsolete in the power department, as the Fenix line of small pocket/key chain lights put out more lumens and have more features. 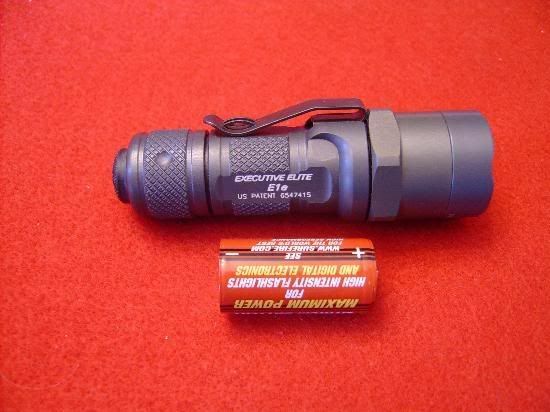 Still, the Surefire E1e is the “classic” small light that arrived at a time when 15 lumens was only achieved with big lights using 2D batteries. The E1e is extremely well made and finished in hard anodized type III in an olive drab finish; it weights 2.20 ounces and has a length of 3.40 inches. The lens is Pyrex and the reflector is stochastic, meaning that is finished with a light stippled pattern that makes the beam free of defects, rings and artifacts. 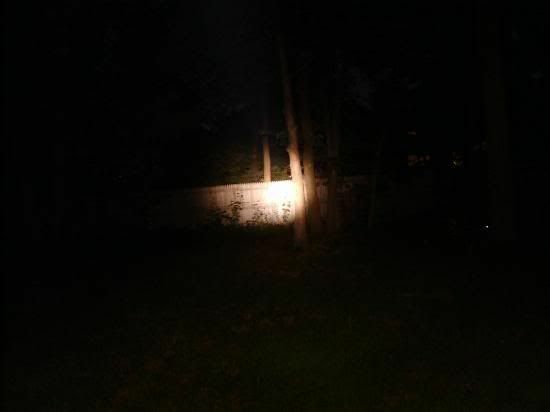 The light runs on one of the RC123’s batteries with a run time of 1.5 hours, the beam is nice, but will not throw far as the reflector is quite small, and small reflectors produce quite a flood. The tail cap has three positions: unscrewed a couple of turns it will lock up the light (what is considered a safety position); screwed a little more, will allow activation of the momentary position by pressing the rubber button; screwed further, will activate the light on constant. The little light charges the battery from the front, that means you have to take the head out to install the battery, as there is not enough room for the battery to enter if you remove the tail cap, as in most other lights. 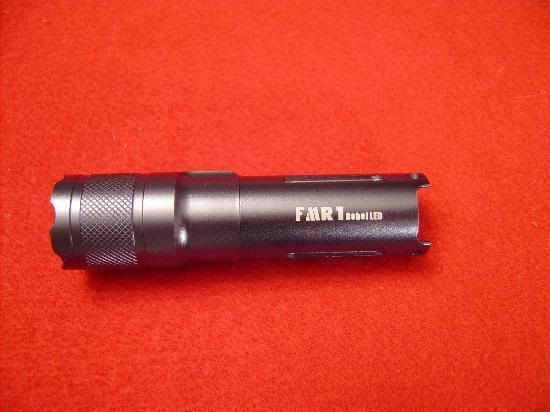 The 15 lumens lamp is called MN01, and is 15 lumens of course; the MN02 is 25 lumens but it’s used in the E series Surefire that carries two batteries, as is the more powerful 60 lumens MN03. I see this light as ideal for a woman’s purse or a man’s pocket. Although the retail price is $79 USD the light is so well made that is worth it. Finally, the light sports a clip that can be used to clip it to the edge of a pocket for quick retrieval, or to the bill of a cap if you need to do some chore using two hands.